Think Long term, think Long Financial Services. Trust. Honesty. Integrity. We believe values matter, and these are the ones that inspire us every day. Welcome to Long Financial Services, Inc.
Our firm offers investment management and full service brokerage with substantial, institutional affiliates and over 30 years of market experience. Our client management services range from investments with very low risk (conservative) to multiple strategies of stocks and bonds for growth and/or income. Our mission is to assist clients with strategies to build and secure multi-generational wealth. Our strategies at Long financial Services analyze client life stages with a process that combines proprietary methods to organize, anticipate, plan and recommend appropriate investments that make sense of, and adapt to changing personal and economic conditions. Gayle Long is a financial advisor with over 30 years experience in the investment management industry. 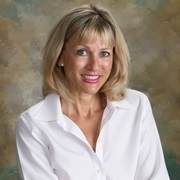 She has used financial planning and advisory services as a cornerstone of her practice since 1984. We each have different concerns as our lives progress with financial needs that can and do change. Why should you wait to plan for your future? Consider your investments and future lifestyle now, and think for the Long Term...think Long Financial Services.